Fairytale in which a princess fails to keep her promises and is taught a lesson. 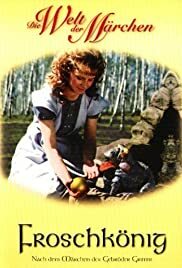 Irresistible and appealing Jana Mattakut (as Princess Henriette) carries this East-German children's film, another good example of the high standards of the genre as it was produced by the DEFA. There are nice special effects when she meets natural phenomena like water, wind and fire. And I could not get enough of the castle of the Frog King that is designed in a "M.C. Escher like" style with its bridges and numerous stairways that go up and down and never seem to lead anywhere. Recommended for people of every age. And remember: never throw a frog against a wall!